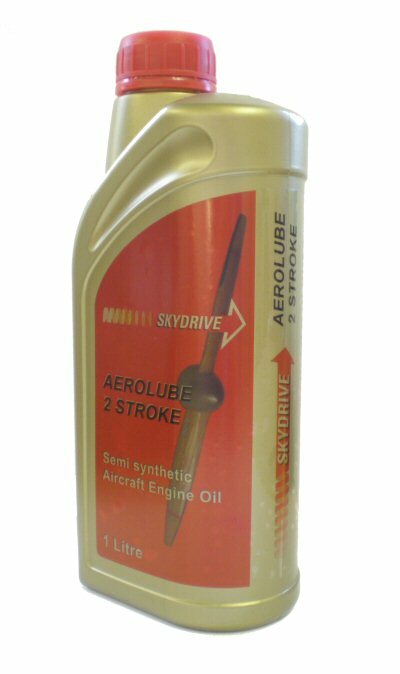 Skydrive Aerolube two stroke oil - a low ash semi synthetic lubricant for use in injection systems or as a pre-mix at manufacturer's recommended ratios. Suitable for air and water cooled two stroke aircraft engines. High resistance to harmful pre-ignition, a severe problem in larger or more powerful 2stroke engines. Ultimate protection for today's high performance two stroke throughout a very wide temperature range. Benefits include; accurate metering, sharp throttle response, low smoke and extreme thermal stability. Maximum performance, even under the most severe conditions. Maximum shear strength for complete protection of crankshafts and pistons, as well as improved engine cleanliness and reduced smoke. Suitable for mixing with unleaded fuel or Avgas 100 LL. Aerolube Two Stroke is suitable for all air cooled and liquid cooled Rotax two stroke aircraft engines.